You can adjust the angle as you like. 1.720P HD camera, plug and play, no need to manually install the driver, USB into the computer will automatically install the driver. 2.Connect web camera to USB port in PC, the system will find it and an Ynmati call completed the installation. when installation is completed, you can directly through the chat tool for video chat. 3. Run Amcap. exe and you will see your pictures. ▶ Built-in Microphone ◀ --- Web camera with noise canceling technology, helps improve speech quality for crystal clear audio. The voice can be heard clearly within 10 meters, helps to avoid sitting so close to the HD USB webcam you could kiss it! ▶ Plug and Play ◀ --- USB Mini Computer Camera is very easy to use! You don't need to install any driver, just simply plug it in and play, the HD 720P webcam is a perfect part for your computer. Compatible with USB 2.0. ▶ Flexible Rotatable Design ◀ --- It's able to flex up and down 180 degrees. Adjust the head 360 degrees in rotation, too. You can adjust the angle according as you need. 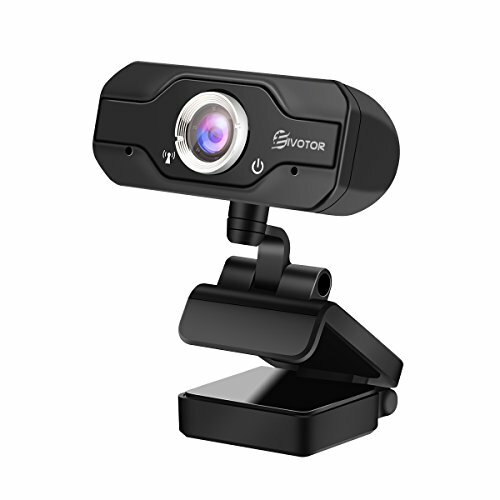 ▶ High Resolution HD PC MOS Sensor ◀ --- HD Webcam with specialized optical lens. High precision and no distorted pictures! Automatic white balance and automatic color correction. ▶ Wide Compatibility ◀ --- Faster, smoother experiences! Support various video meeting software. (ie, Networking meetings and works great with MSN, Yahoo and Skype, etc.) Enjoy the big-screen visual experience. Support windows 2000/XP/ 7/8/10/vista 32bit and Android TV or the latest. Works with USB Video Device Class (UVC) mode: The OS support MAC OS 10.6 or later (HD 720p on FaceTime for Mac or other supported video-calling clients). If you have any questions about this product by EIVOTOR, contact us by completing and submitting the form below. If you are looking for a specif part number, please include it with your message.